30-Day Money Back Guarantee. Try Risk Free. 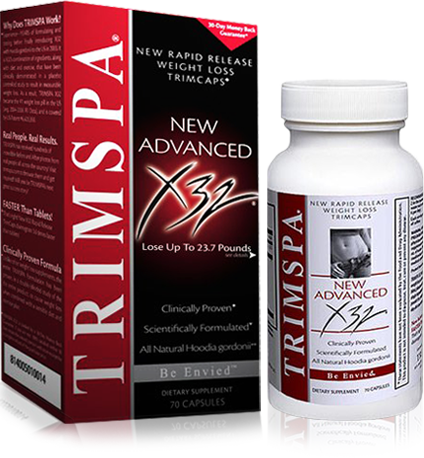 Δ TRIMSPA® X32® has proven in clinical studies to produce up to 23.7 pounds of amazing weight loss in 8 weeks! Average results from an 8 week, statistically significant, double blind, placebo controlled study of the entire TRIMSPA® X32® formula (as opposed to just a single ingredient study), were 6.61 pounds of weight loss with TRIMSPA® X32® and 3.36 pounds for group taking placebo. Both groups followed the same 2000 calorie per day diet and exercise plan and were instructed to take one or two TRIMSPA® X32® tablets before each meal. 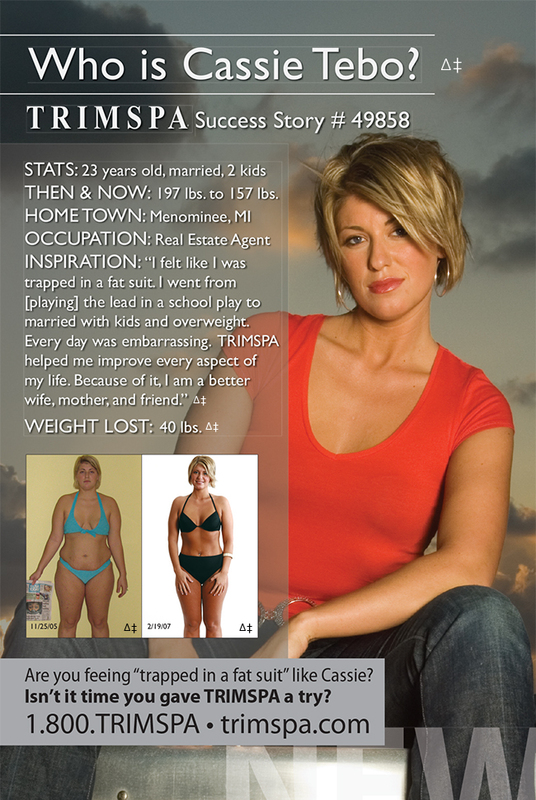 ‡ Pictures are of actual customers who entered a TRIMSPA® weight loss challenge and have been compensated, the pictures are for the time frame represented and current status is unknown.